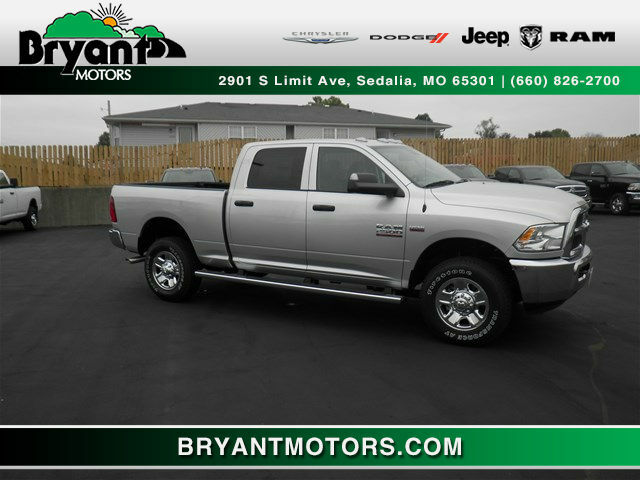 Test drive competitively priced RAM pickups and work trucks at Sedalia’s Bryant Motors. Some jobs simply require a pickup truck. 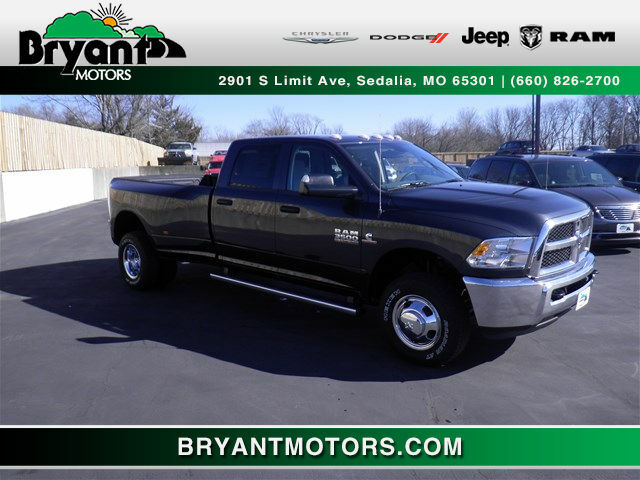 If you’re looking for a vehicle with the grit, power and determination to get the job done, then consider test driving a new or used Dodge Ram pickup truck at Bryant Motors of Sedalia. As the region’s preferred Dodge RAM dealer, we’ve got a wide selection of Ram work trucks in stock. Let our auto experts help find you the right truck for the job. It’s not easy finding a quality truck that will last. When it comes to all-around capabilities and comfort, the Dodge Ram 1500 is hard to beat. This full-sized pickup truck boasts the Best Fuel Economy in its class, max towing of over 10,000 lbs., an available 3.0l EcoDiesel V6 engine and much more. Available now in multiple trim options, including Tradesman®, Ram 1500 Express®, Big Horn®, Rebel, Sport, Laramie®, Laramie Longhorn® and Limited. The newest Ram 2500 truck is a real workhorse. Featuring Best in Class Diesel Towing, the Dodge Ram 2500 hitches and hauls more than any other heavy duty pickup truck around, ensuring your payload arrives safe and sound. With available features like the RamBox® Cargo Management System, you’ll be able to store and organize all of your best tools. Trim options include: Tradesman®, SLT, Big Horn®, Laramie®, Outdoorsman®, Power Wagon® Tradesman®, Power Wagon®, Laramie Longhorn®, Limited and Power Wagon® Laramie®. With Best in Class Diesel Torque, the Dodge Ram 3500 can handle payloads of up to 7,390+ lbs. and haul loads up to 39,000 lbs. and beyond, easily beating out competitors like the Ford F350 and Chevrolet 3500. Schedule a test drive to experience the raw power behind the various Ram 3500 trim options for yourself, such as the Tradesman®, SLT, Big Horn®, Laramie®, Laramie Longhorn® and Limited. On top of our lineup of full-sized and heavy duty pickup trucks, we stock expertly designed and powerful work trucks. As America’s most affordable chassis cab, a RAM work truck is the right vehicle for the job with a 60″ cab to axle length and a 10,000-lb Gross Vehicle Weight Rating (GVWR) to accommodate just what your business needs. The RAM ProMaster and ProMaster City cargo vans offer impressive payload capabilities as well, in addition to more cargo space, maneuverability and more. 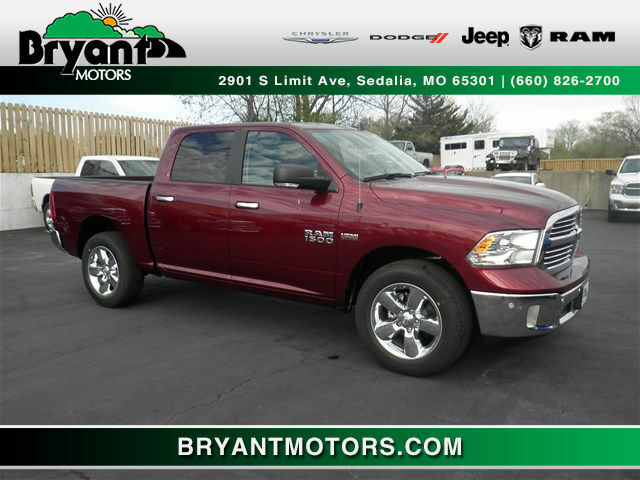 When the hard-working people of Sedalia and Central Missouri need a pickup that can get down and dirty, they often turn to RAM for the solution. Ram Trucks, a subsidiary of Fiat Chrysler, is a spinoff of Dodge specializing in crew cabs, double cabs, light/mid full-sized pickups, heavy duty trucks and commercial cargo vans. 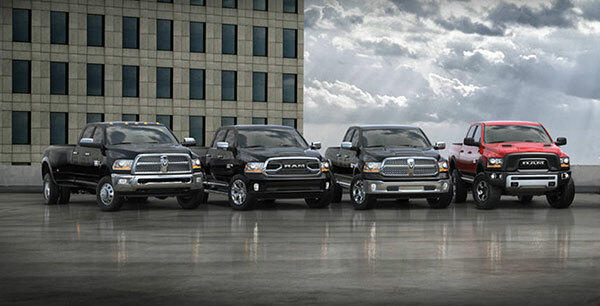 RAM is the fastest growing truck brand in America according to recent industry data. When you compare the Dodge Ram 1500 and other truck models with competitors from other American automakers like Ford and Chevrolet, it’s clear to see why more people are driving RAM trucks than ever before. Power, efficiency, suspension, comfort, control – Ram trucks are known for withstanding the test of time and getting the job done for years to come. 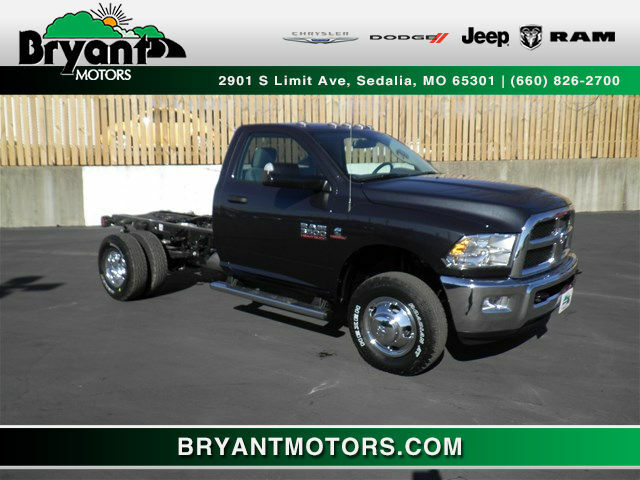 Bryant Motors has been Sedalia’s premier RAM truck dealer since 1936. With hassle-free car shopping, upfront pricing and friendly customer service, our new and used car dealership has earned a trusted reputation that keeps our customers coming back year in and year out. When we say we know just about everything there is to know about finding a truck to get the job done, we’re not trying to brag; rather, merely stating a fact that we are one of the area’s top experts on RAM pickup trucks. Whatever the job, we can help you find the right truck. Bryant Motors proudly serves Sedalia, Jefferson City and communities throughout Central Missouri, including Warrensburg, Whiteman AFB, Marshall, Clinton, and Boonville. Stop by our Chrysler Dodge Jeep Ram dealership today, or talk to one of our experts today about scheduling a test drive of the latest RAM models and pre-owned Dodge Ram pickup trucks.